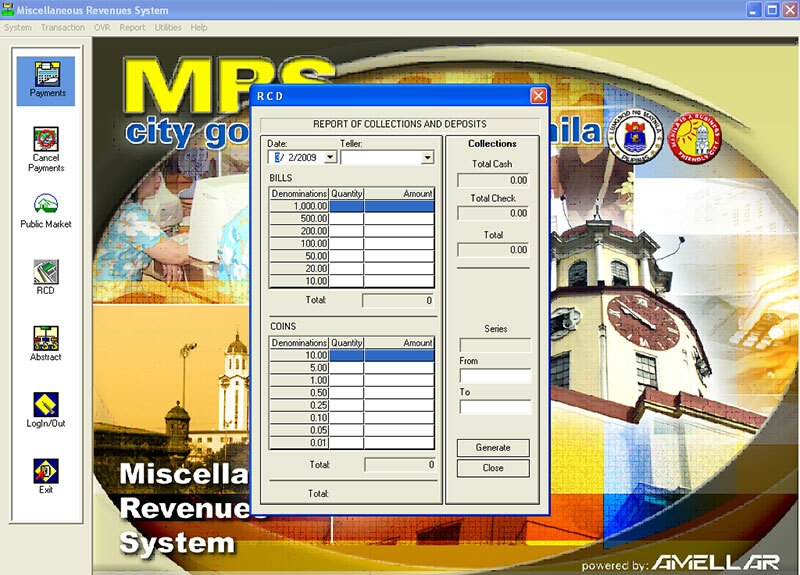 Assessment and collection of miscellaneous revenues are often neglected and overlooked for a variety of reasons thus depriving LGUs of significant income. 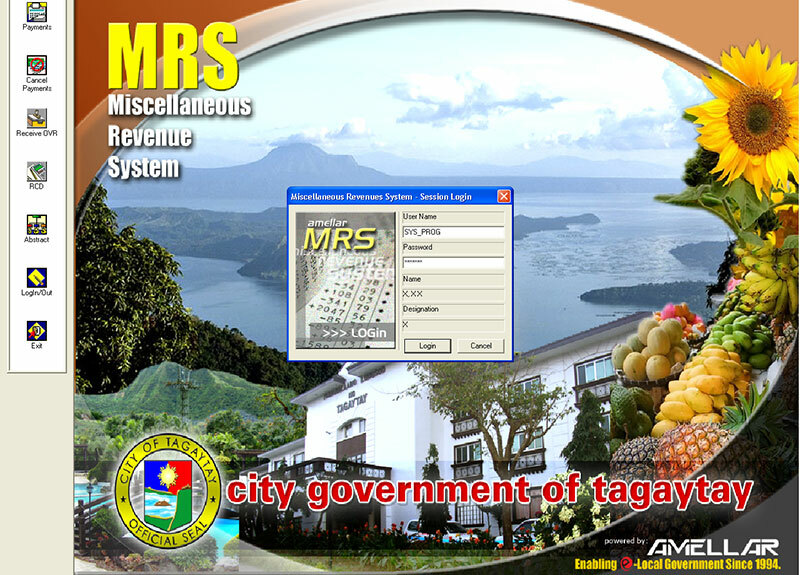 Amellar MRS© is a powerful tool to help LGUs in assessing and collecting miscellaneous revenues. 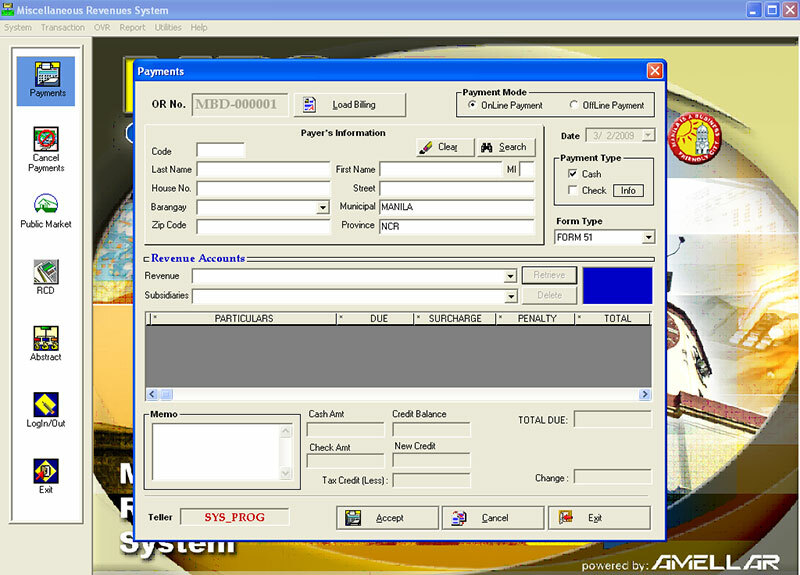 The miscellaneous taxes, fees, and charges collected from citizens and entities include franchise tax, community tax, professional tax, secretary's fees, civil registry fees, engineering permit fees, garbage service charges, and many others. Amellar MRS© enables LGUs to maintain an automated, table-based schedule of rates, and appropriate computational scheme making the assessment and collection processes simpler, faster, and more efficient. 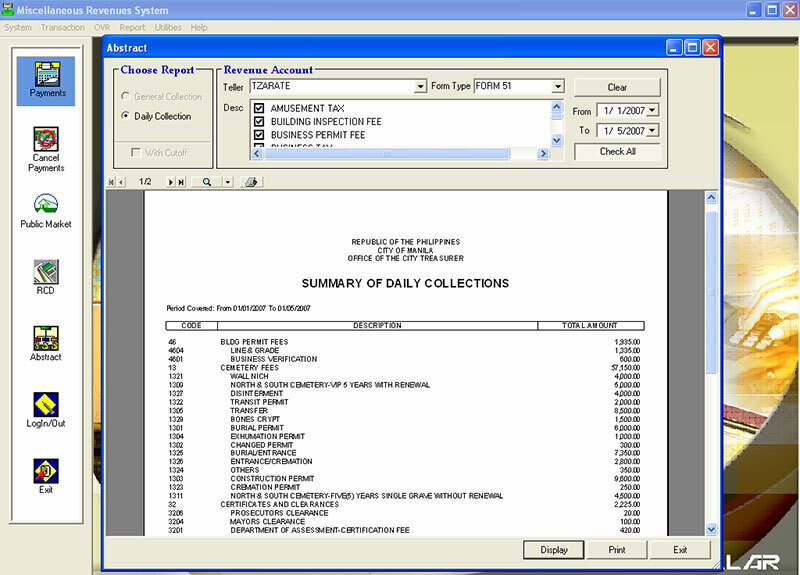 Generates collection and other transaction reports, and various quantitative reports.